Vernon Matzen received his Ph.D. degree in Structural Engineering and Structural Mechanics at the University of California, Berkeley in 1976, his Master’s Degree from Purdue University in 1968, and his Bachelor’s Degree from the University of Colorado in 1966. From 1967 to 1970 he was in the Research and Development Group at the Electric Boat Division of General Dynamics. 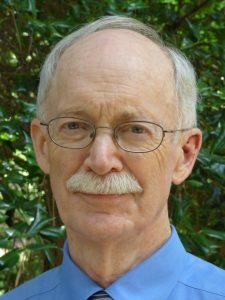 From 1977 to 2014 he has was on the faculty in the Department of Civil, Construction, and Environmental Engineering at North Carolina State University. He is now a Professor Emeritus and Director Emeritus of the Center for Nuclear Energy Facilities and Structures. His research and professional interests are in the areas of piping behavior and design, rocking and sliding of unanchored structures, and internet based control and observation of laboratory experiments. He is an Alumni Distinguished Professor of Undergraduate Education.